GA-8IK1100 (Rev 2.x) is the ultimate solution for the latest Intel®Pentium® 4 processor with 800MHZ FSB and Hyper-Threading Technology. 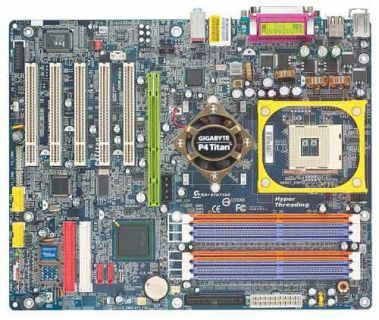 Powered by the Intel highest performance 875P chipset and a variety of cutting edge technologies, GA-8IK1100 (Rev 2.x) is designed to be the full function platform with excellent performance. The architecture of 800MHz FSB, AGP 8x, Dual Channel DDR 400, and Performance Acceleration Technology (PAT) provides promising framework for excellent performance. This platform features Intel® PRO/100 VE Network Connection and delivers optimized network throughput & platform performance. The Serial ATA, IEEE 1394 Firewire are integrated to provide superior I/O performance and data protection. GA-8IK1100 (Rev 2.x) will definitely delivers the uppermost platform with unprecedented computing power and rock-solid stability. Leveraging the Intel® 875P chipset to support 3GHz+ P4 CPUs on 800MHz FSB, Intel Hyper-Threading Technology and advanced features, the GA-8IK1100 (Rev 2.x) delivers a full-value, highest performance solution for today's most demanding tasks. GIGABYTE C.I.A (CPU Intelligent Accelerator) is designed to detect CPU loading during software program’s executing, and automatically adjust CPU computing power to maximize system performance. During loading high CPU resources consumption tasks, such as video and audio encoding programs or thrilling 3D games, the CPU requires more CPU computing power; when C.I.A is enabled, it will detect the current CPU loading and automatically accelerate the CPU computing performance, thus allow programs to execute faster and smoother. On the other hand, when the programs are terminated, the CPU will return back to its initial status. Integrated Intel® PRO/100 VE connection utilizes Intel® Ethernet Controller for users who need straightforward high speed, high quality and high performance network connectivity. Highly anticipated interface which enhances PC connectivity for consumer electronics A/V appliances, storage peripherals and portable devices. 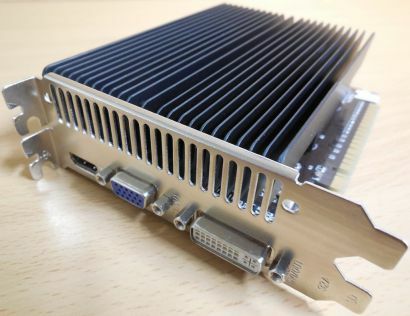 AGP8X the new generation VGA interface specification that enables enhanced graphics performance with high bandwidth speeds up to 2.12GB/s. With a bus of 533MHz, AGP8X is twice as fast as AGP4X. Featuring incredible sound quality especially with its S/PDIF-IN/OUT function that enables users to experience high quality audio for multimedia entertainment. With new Universal Audio Jack (UAJ) feature users won't have the worries about how to install speakers correctly.